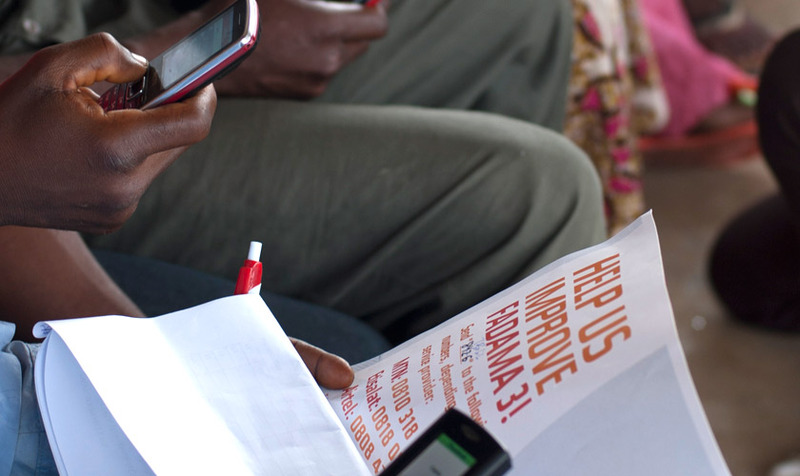 How can citizen reporting help ensure public services are working for those who need them most? Improved public service delivery begins with knowing whether the services offered are working as intended. But too often public service providers lack the means to solicit citizen feedback. When feedback is available, the data typically represents the interests of only a fraction of users. This is especially true in Nigeria where persistent underdevelopment of infrastructure, including roads, internet access, and electricity, constrains the ability of the country’s poor to provide feedback. Those who stand to gain the most from effective public services have the fewest opportunities to input on their design. Recognizing this challenge, the World Bank engaged Reboot to develop mechanisms that would enable citizen input on the delivery of public services. 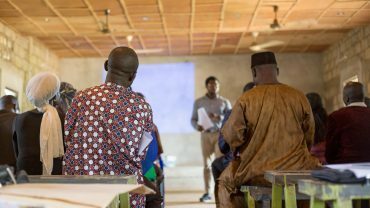 We immersed ourselves in local communities to identify their needs, and we worked closely with Nigerian government and World Bank officials to determine how to receive and process citizen feedback. We collaborated with local and international engineering partners to build a technology platform that would be easy to use for all stakeholders. And we worked with community leaders and civil society organizations to implement the system. 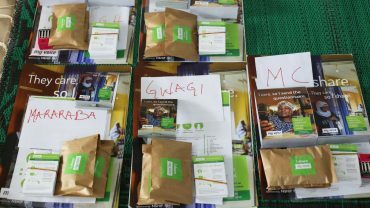 The program has been piloted in Nigeria for a public program in healthcare and is now preparing for a wider launch. 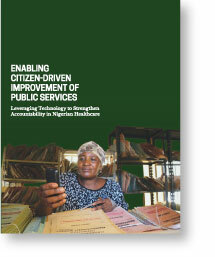 In 2011, as the Government of Nigeria and the World Bank explored how to improve key programs, they needed to first understand how citizens experienced public services. Previous attempts to gather citizen feedback had fallen flat. Many initiatives had overlooked key constraints to usage and adoption at both the government and community levels. For example, while these programs encouraged government bodies to solicit, review, and act on public feedback, many did not establish formal mechanisms to incentivize or enforce these actions. The design of several programs also prevented widespread citizen participation. Rural citizens could not travel to designated offices in urban centers to share their grievances. Feedback hotlines sometimes routed to public officials’ personal phone lines, creating extremely narrow windows where those officials would accept incoming complaints. And absent past or current guarantees on government responses to public input, citizens were reluctant to invest time and energy in providing feedback. Recognizing this challenge, the World Bank engaged Reboot to develop mechanisms that could enable greater citizen input on the delivery of public services. To overcome common barriers to civic engagement, we employed a systems-oriented approach to program design and implementation. We immersed ourselves in target communities to understand users’ behaviors. We also embedded with implementing government offices and service providers to understand their functions, processes, and constraints. Our aim was to make program participation seamless and attractive for citizens and government officials alike. We developed a working prototype early in the design process, and then pursued tight, iterative development cycles to collect and integrate user feedback throughout the process. 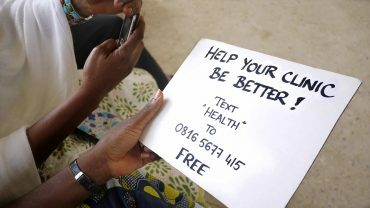 User testing occurred in homes, health facilities, hospitals, and offices across rural Nigeria. With designers and software developers both on the ground, we could implement changes overnight and present the modified prototypes the following day. Through several iterations, we were able to develop a tool that enjoyed broad ownership among citizens and governments. The final prototype design included an SMS feedback collection system and a web-based dashboard platform for viewing analyzed data. We led the implementation of the program across two states in Nigeria, working with communities, government, and civil society organizations, and supporting the integration of developed tools and processes into larger donor programs. Implementation plans, tailored to each user group, included recruitment, training, and management of community-based organizations, as well as execution of a cross-media public communications campaign. As part of this campaign we launched a contextually-tailored brand identity, as well as user guides and a messaging system. Reboot provided hands-on programmatic support and technical assistance to facilitate the direct use of citizen feedback to inform management decisions for improving quality of services based on beneficiary needs. 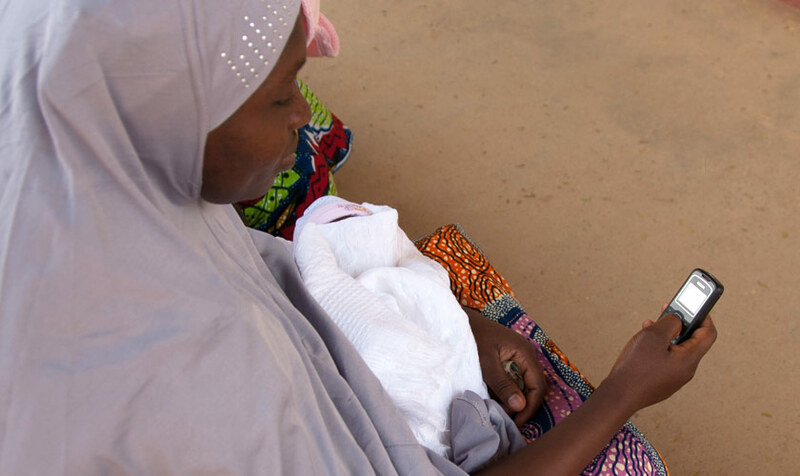 In 2013, with the World Bank and the Nigerian government, we launched a pilot of the My Voice platform: a free, easy-to-use tool for citizens to provide feedback on local primary healthcare providers. The platform both gathers citizen feedback (via mobile phones) and transmits it in real time to the responsible government body. Custom data analytics allow officials to understand patterns in service delivery and quickly pinpoint and address challenges as they arise. 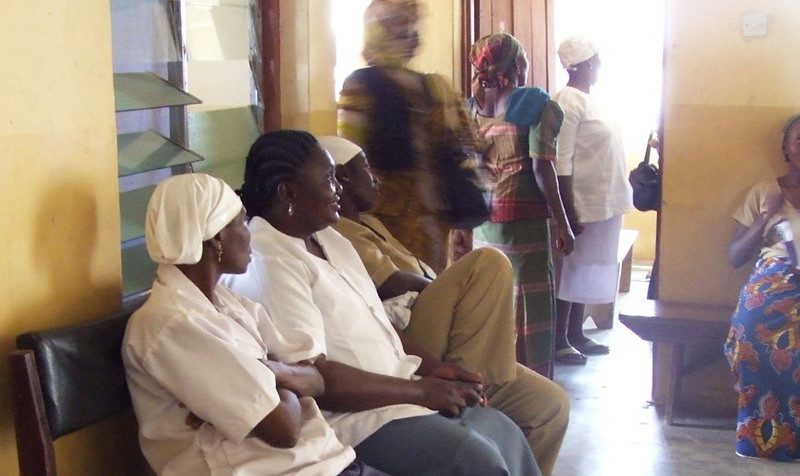 During the pilot, at 10 primary healthcare clinics and 1 hospital over a 9-week period, the My Voice system enabled unprecedented constructive dialogue among citizens, service providers, and policymakers, with 66% of patients receiving the survey, showing strong clinic staff uptake (especially considering the number of patients lacking mobile phone access). As a result of citizen feedback gathered through My Voice, clinics were able to make a number of evidence-based improvements. For example, after several patients complained that one clinic was closed after dusk, the local government released funds for a generator, allowing the clinic to meet mandated night hour requirements. And, due to local government ownership established in the pilot phase; the state government has set aside a budget to carry My Voice forward. My Voice is an open source platform, which allows other organizations and governments to adapt and implement the technology for other uses. Moving forward, the World Bank and the Nigerian government are exploring further opportunities to extend and scale My Voice to programs in other sectors and regions.